Founded in 2012. The Chow Brothers is a food brand that transcends norms, cultural boundaries, and expectations of how people experience food to inspire curiosity and bring people together. Our motto, BETTER TOGETHER, speaks to us as brothers, our products and your table, and the food community as a whole. Be Respectful. Be Inclusive. Be Real. Always Elevate. Believe in Unicorns. We aim to create something that is distinct, memorable and inspired by our roots to positively transcend your expectations of our food while piquing your curiosity and sense of adventure. We make everyone feel welcome at our table and give respect to our entire food system. 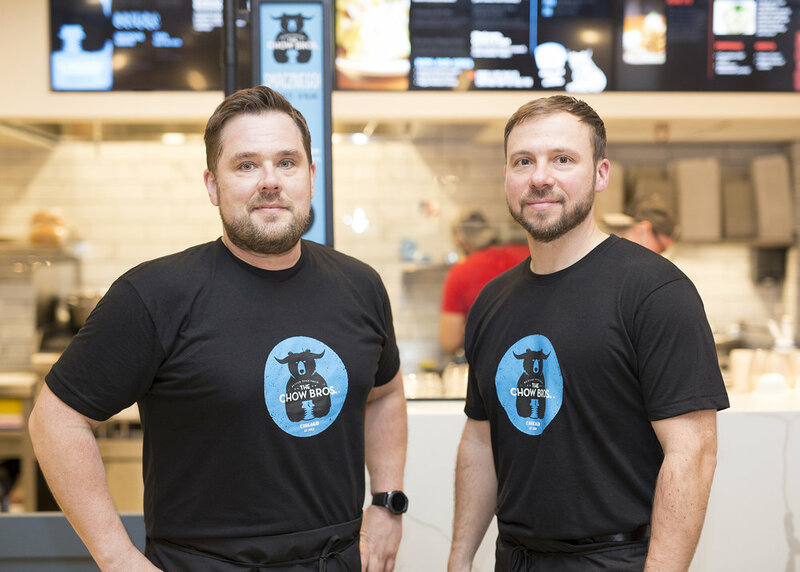 We’re two brothers and Chicago natives raised in a Polish household of amazing cooks–our heritage guides our love of Central-European gastronomy while our culinary curiosity and experience inspire our journey to elevate & reimagine the amazing cuisine from this region. Our parents are hardworking immigrants and mindful backyard gardeners with a heritage rooted in good food and responsible farming practices. Every family gathering at our house was a small food festival and our Mama would create new recipes outside of her Polish background while our Tata (tah-ta = dad) would meticulously prepare traditional Polish recipes. You’re a friend at our table and our promise is to make your dining experience adventurous and our food approachable. We’re pumped to create a memorable experience with you and inspire your culinary curiosity. Growing up, our Babcia (bahb-cha = grandmother) was the Queen of Pierogi. She’d bust out her dumpling-making skills and we watched her in awe (mouths drooling) as she hand-crafted her stuffed wonders. We witnessed the meticulous attention she gave to making the dough, preparing the filling, and getting the crimp perfect. She never took shortcuts to ensure quality and flavor. She always loved whipping up traditional Polish staples and amazing pierogi at her family's request. Our superhuman Babcia was the ultimate survivor (a refugee survivor of Nazi labor camps and Communist oppression), organic farmer, family matriarch (14 kids! ), and all-around wonder woman. Babcia’s lessons and the perseverance she gracefully embodied guide us today. We use her values to reimagine traditions in delicious ways–always elevating and exciting with new, distinct, and seasonal varieties. Our food is Babcia approved! Sustainability is a journey, not a destination. It takes time and it builds on subsequent accomplishments. The Chow Brothers commit to transparency in sourcing and our operating practices as we build a 1-year and 5-year plan for our sustainability efforts. We will be listing our initiatives here soon and launching our blog (localchow.org) where you can learn more about our commitment to efforts for Good, Clean, and Fair Food. Everyone needs nurture and support when starting out. The Hatchery has been an amazing partner on our journey to where we are today. 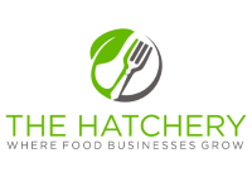 We are proud members of The Hatchery and the community they have created. Learn more here.